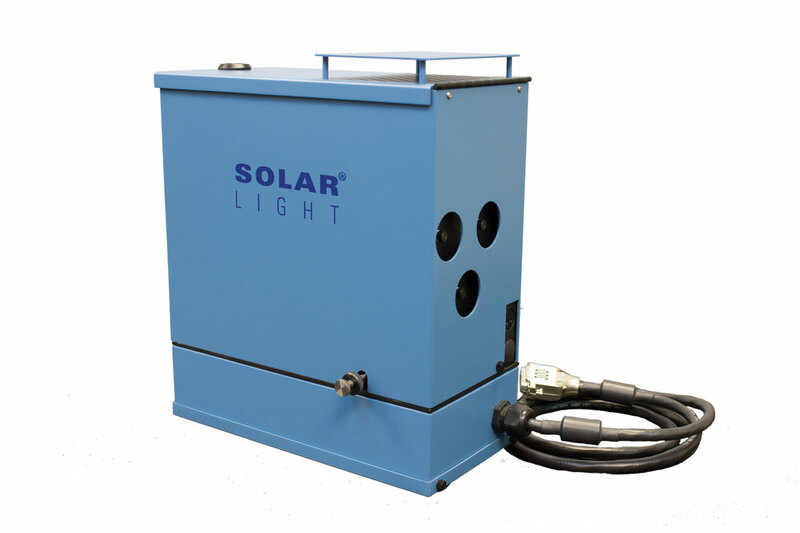 The 300W 16S-300-004 Materials Testing Solar Simulator produces a 2.25″ (5.7 cm) Air Mass 1.5 output beam for full spectrum sunlight – ideal for testing the damaging effects of sunlight on materials such as plastics, paints, coatings, inks, dyes, vinyls and fabrics. Our state of the art single output 16S-300-004 Materials Testing Solar Simulator produces solar Air Mass 1.5 Radiation for full spectrum sunlight – ideal for testing the damaging effects of sunlight on materials. It can also be quickly and easily configured by the user to provide UVA only, UVB only, or UVA+B optionally. 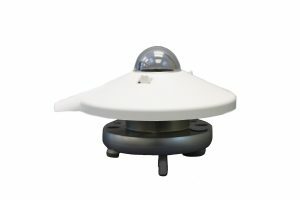 These precision research-grade instruments are specifically designed to comply with the latest laboratory standards such as ASTM, IEC, and ISO. 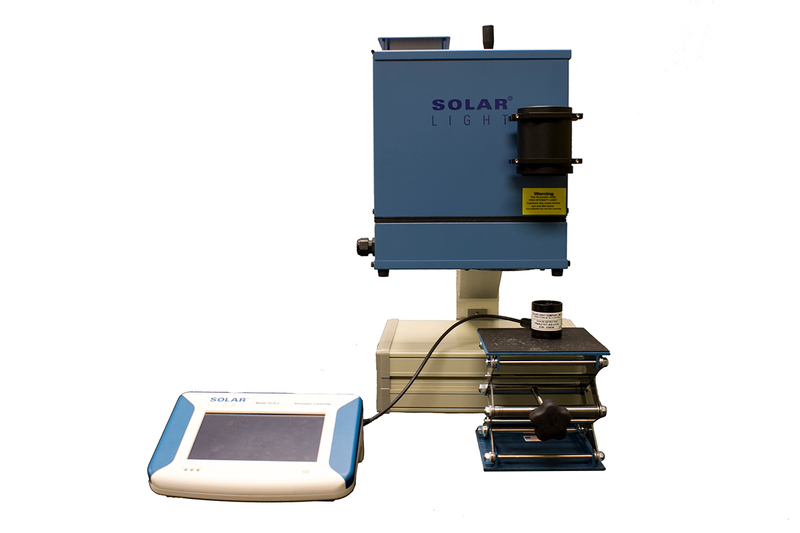 Our Turnkey Material Testing Kits include the Simulator, DCS-2 Automatic Dose Controller, NIST-traceable PMA-Series Class II Pyranometer, safety glasses, and other accessories so you can start testing instantly! Plastic fade testing, plastic brittleness testing, textile fade testing, paint fade testing, dye fade testing, coatings fade testing, vinyl fade testing, and much more. A comprehensive list of the most popular materials tested can be found [HERE].This kit can also be used for photostability testing. Solar Light offers safety glasses in various styles to suit research and testing environments using solar simulators. 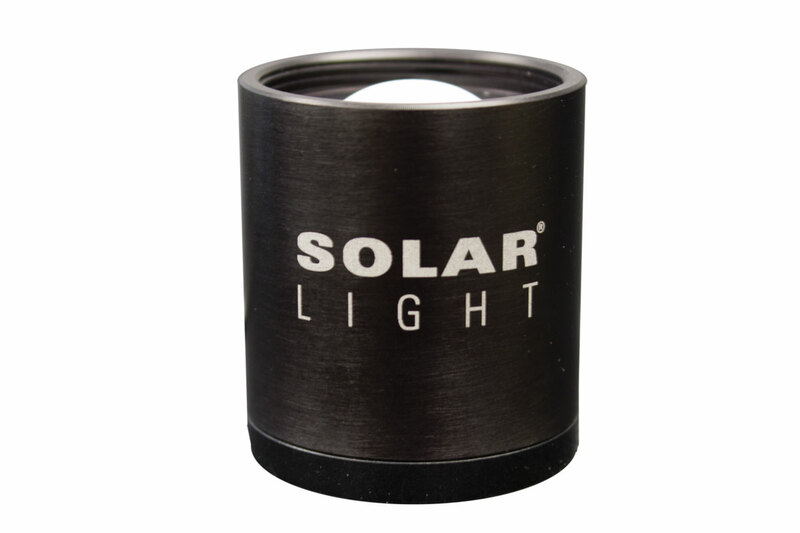 SOLAR LIGHT COMPANY warrants that the equipment has been carefully tested, inspected and left the Factory in proper working condition, free of visible defects. 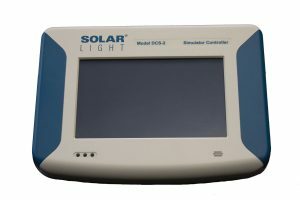 SOLAR LIGHT COMPANY warrants the equipment to be free from defects in material and workmanship, under normal use and operation, for a period of one (1) year after the date of initial operation, or demonstration; or eighteen (18) months from the date of shipment from the Factory; or whichever occurs first. The warranty is limited to the free replacement of all-defective parts and free labor during the first year of warranty. Defective parts replaced under this warranty shall become the property of SOLAR LIGHT COMPANY. 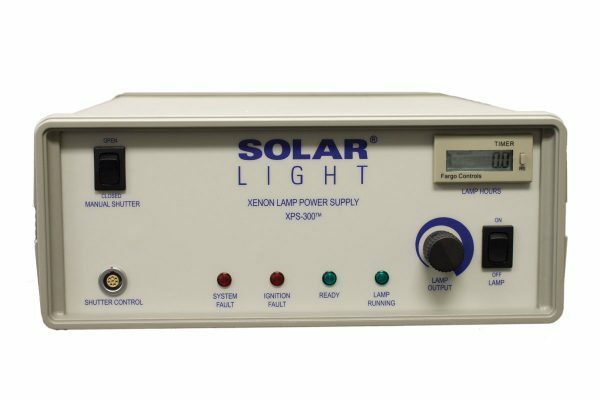 The above stated Warranty is subject to the following conditions: Equipment being installed within the United States of America, Canada, or sold by authorized SOLAR LIGHT COMPANY representatives or their agents outside the continental United States. 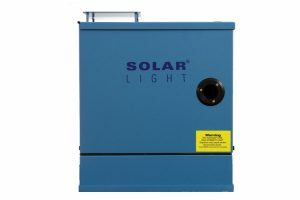 The equipment being installed is operated and maintained in accordance with SOLAR LIGHT COMPANY’s operating instructions, maintenance instructions and specifications. Utilization of only SOLAR LIGHT COMPANY’s authorized parts and components. The utilization of a duly authorized representative for all work performed on SOLAR LIGHT COMPANY equipment during the warranty period. 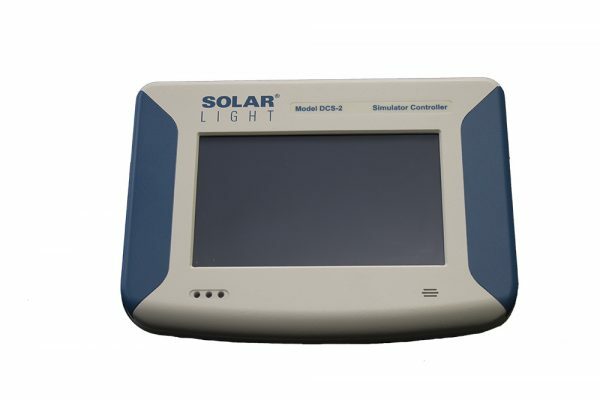 Any variation(s) to the above warranty must be in writing and mutually acceptable by SOLAR LIGHT COMPANY and the customer. The warranty shall not apply to damages resulting from errors in installation, nor shall it apply to any equipment, which has been subject to damages, alterations or misuse by the purchaser. Parts of the equipment, which would be generally considered as expendable service items during normal use, such as fuses, lamps, detector shields, etc., are not covered under the warranty. THERE ARE NO WARRANTIES, WHICH EXTEND BEYOND THIS DESCRIPTION, AND EXPRESSLY NO IMPLIED WARRANTY OR MERCHANTABILITY OR FITNESS FOR A PARTICULAR PURPOSE. IN NO EVENT SHALL SOLAR LIGHT COMPANY BE LIABLE FOR SPECIAL, INCIDENTAL, OR CONSEQUENTIAL DAMAGES OR ANTICIPATED LOSS OF PROFITS SUFFERED BY THE PURCHASER. Extended Warranty Plans are also available. Your quote list is empty! © 2018 Solar Light Company, Inc. All rights reserved.